EXECUTIVE COACH -- John Fletcher is a Healthcare innovator and leader based in Seattle, Washington. His experience includes over 30 years in executive leadership with Providence Health & Services at the operational and strategic levels in Oregon, Montana, Washington and California. John understands the economic and political pressure of the “C” suite, having served 8 years as a regional Chief Executive overseeing a $2 Billion operation with over 21,000 employees. He also understands that to be successful, trust, empathy and self-awareness are every bit as important as financial, marketing and business strategy. EXECUTIVE COACH and CONSULTANT--Called upon to develop, launch, and integrate new and profitable service models in response to glacial shifts in Healthcare funding and access, John’s vision, relational integrity, and integrated view of service and business now guide his work with current and emerging healthcare Executives. 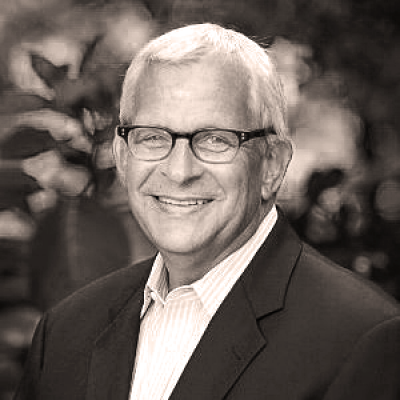 Having successfully navigated more than three decades of healthcare change, reorganization, expansion and consolidation, John is uniquely equipped to coach and develop both the current and next generation of healthcare executives. His Coaching and Consulting practice is centered in strategic, collaborative and rational approaches to executive development and success. John is respected for his professionalism, ability to build strong personal relationships and his commitment to helping others learn, develop and realize their full leadership potential. John holds a Master’s Degree in Business Administration from Portland State University in Oregon and a Bachelor’s Degree from the University of Nebraska. John started in the healthcare industry in the 1970s, working with pioneers in heart surgery as a Certified Cardiovascular Technologist. He eventually worked his way into administrative roles and significant leadership roles. Oversaw the Multi-Market operations of Providence Senior and Community Services (operating revenue $260M) and Pathology Associates Medical Laboratories, PAML (operating revenue $225M). At Providence Health, managed 14 direct senior executive reports and a $2.2 billion operations and capital budget. Merged 9 Hospitals and 21,000 people into one region with a new shared services operating company. Overcame regional biases and leadership resistance to advance and accelerate this strategic cultural and operational integration initiative that included the EPIC information system. Pioneered the organizational evolution from a department to service-line centered delivery systems to optimize patient care and reduce overhead in anticipation of managed care compliance.